Matt Holland Photography: The stars at night, are big and bright, deep in the heart of... New Mexico? 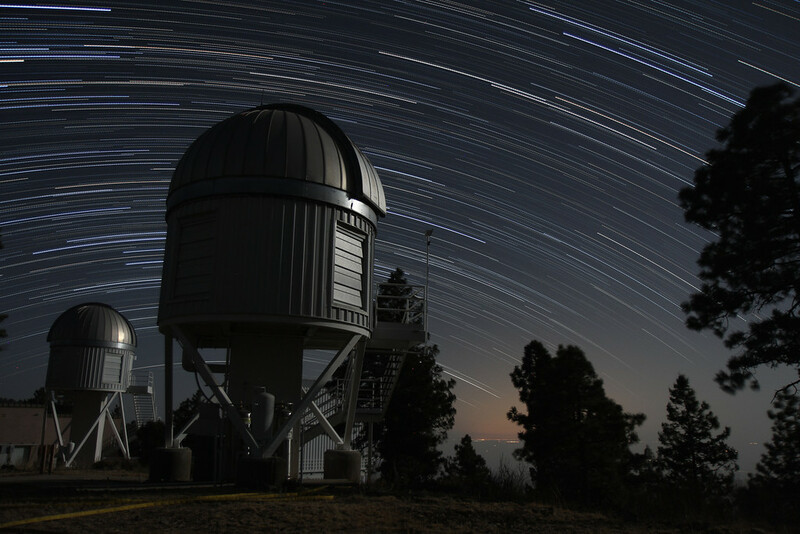 The stars at night, are big and bright, deep in the heart of... New Mexico? During a trip to west Texas and New Mexico in May I had the opportunity to shoot some stars while up around 9000ft of altitude in the mountains. I'll tell you what, the views out there sure beat what we get in the Twin Cities. The first night I was tired from other activities so I took the lazy man's route and put the tripod on the deck of our cabin. Luckily I had a nice open view to the North so I think it came out pretty well! 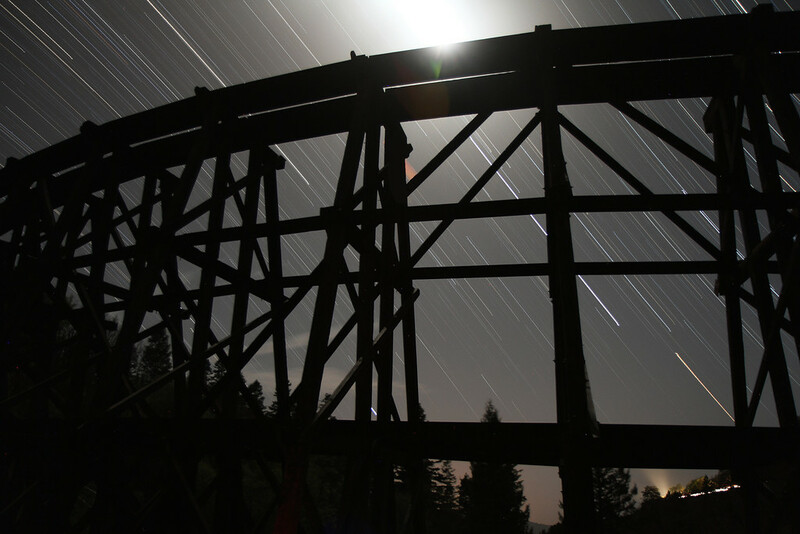 Inspired by my success, I got ambitious for my 2nd and final night up in the mountains and did some rather sketchy nighttime hiking to revisit the Mexican Canyon Trestle Bridge near Cloudcroft, NM, as well as Apache Point National Observatory. While the position of the moon wasn't quite ideal (and the other side of the bridge was even more dangerous than where I was), I think it came out pretty well! I did break one of the latches on my tripod using it as a makeshift walking pole though. I don't really recommend that! After I hauled myself and my gear (shivering due to the low temps at this altitude), I made the hour drive to Apache Point. I'd done this earlier that day to visit the observatory while it was open to the public, but the drive through about 45 miles of insanely twisty mountain roads riddled with deer was far more exciting at 2am. 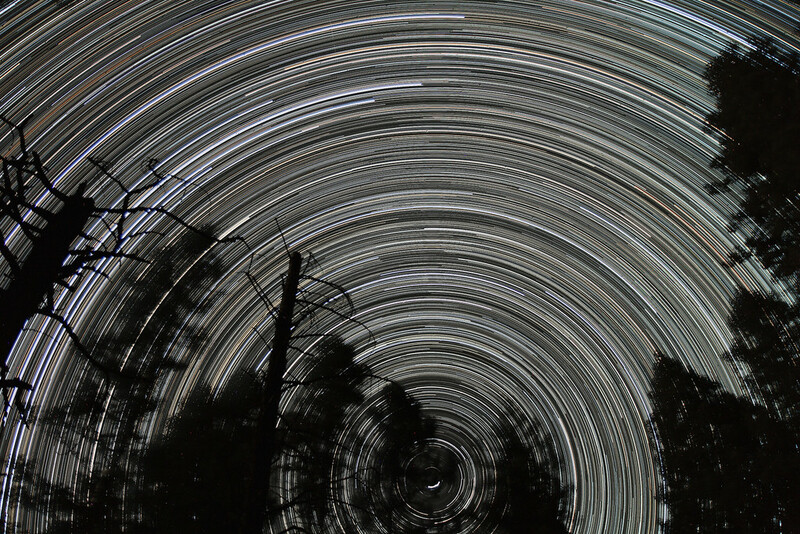 It had occured to me that the telescopes at Apache Point would be the perfect foreground for another star trails shot. 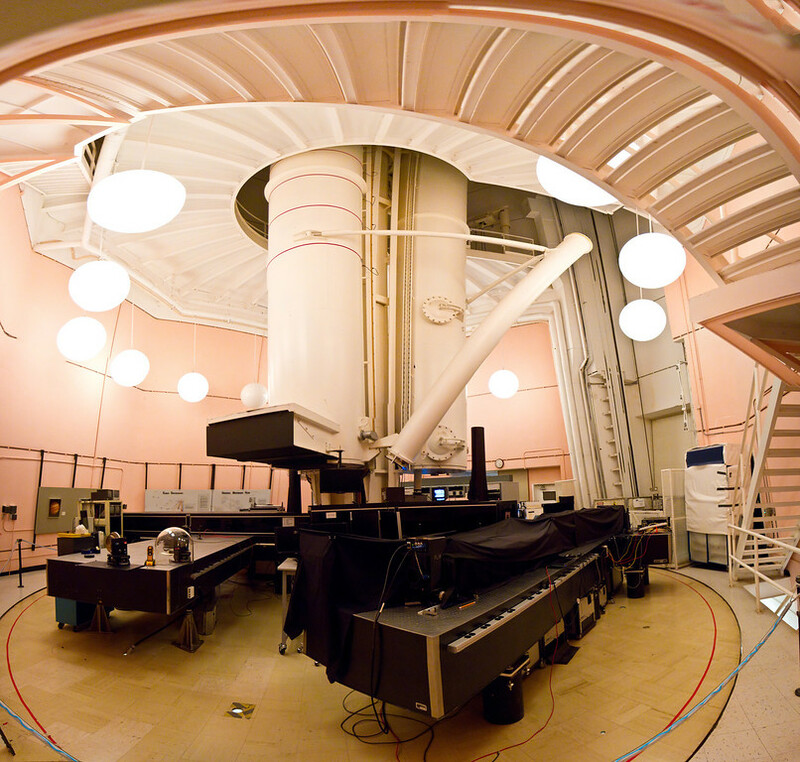 Plus I wanted to get some nice night shots of the facility, especially if it was in operation and the telescopes were open. Since the observatory isn't exactly open to the public at night, I thought discretion was the order of the day, and followed the signs directing me to run my headlights off about a mile out. It's a wonder I could stay on the road due to the trees blocking the moon, but I made it to their lot and quickly made my way up to the telescopes, only to be disappointed to see that they were not in operation. After setting up the camera and intervalometer for the above shot, I retired to my borrowed van to get out of the cold and read a book by flashlight. After some time the doors locked automatically, and I nonchalantly unlocked it from the inside without thinking. Cue the car alarm going off at 3AM! It took me what seemed like an eternity to find the keyfob and disable the alarm, at which point I bailed out and hid in a bush waiting for the inevitably response to the racket I'd made. After about 15 minutes of utter silence I realized no one was coming, and went back to grab my camera and shoot some some more angles. Then I hightailed it back to the cabin for a couple hours of sleep! On the way out of NM I made sure to visit the New Mexico Museum of Space History, a great little museum with a bunch of rockets and plenty of artifacts from the nearby White Sands Missile Range. Make sure to check it out if you're ever in the area!